After our vermut aperitifs, we went for a lunchtime menu at Ristaurante Victoria, on the Raval side of the Ramblas. We sat outside and ordered three courses and a bottle of white wine – all for less than €10. I think we both ordered the same, which was Fideuà as a starter. 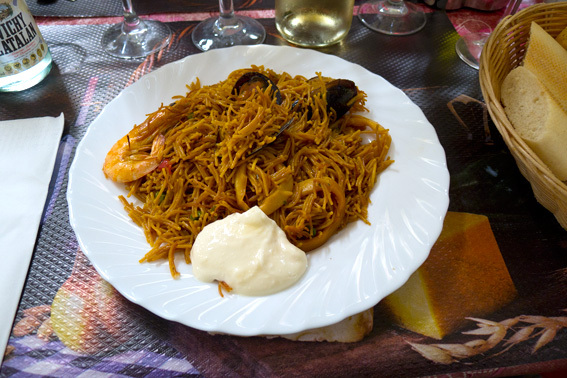 Fideuà is a paella like dish, containing vermicelli pasta instead of rice, along with prawns, squid, mussels, etc. The dish came with allioli on the side, which is traditional. 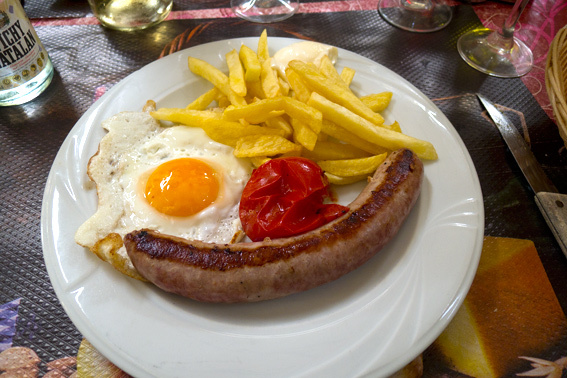 The main course was Butifarra (a spicy Catalan sausage) with a fried egg, tomato and chips. When I lived in Bacelona, 20 years ago, my Valencian flat mate cooked this dish and said me, “This is typical Catalan food, what do you have in England like that?”. He seemed surprised that the English do eat something quite similar! To be fair, a Butifarra is a lot better than most English supermarket sausages. The name Butifarra always reminded me of the Reggae singer Prince Far I, who came from Spanish Town, Jamaica – I thought there should be a Prince Butifarra from Kingston. I had Crema Catalana for desert, flavoured with lemon zest and cinnamon. 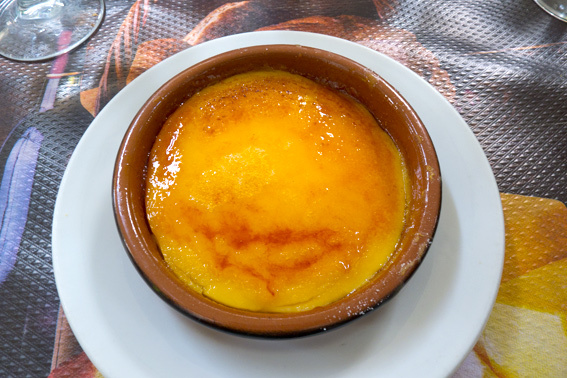 Crema Catalana is similar to crème brûlée, but the sugar on top should always be burnt with an iron and not a flame. Traditionally, Crema Catalana is served on 19th March, St. Joseph’s day. All the food we ate was typically Catalan and quite delicious. 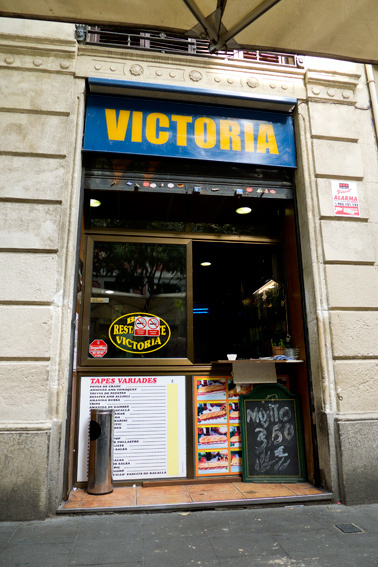 This entry was posted in Barcelona, Barcelona Bars and Restaurants, Eating Out, Fish, Food, Meat, Restaurants, Spanish and tagged allioli, Barcelona, Butifarra, Catalan, Crema Catalana, Fideuà, paella, Restaurante Victoria, seafood, vermicelli. Bookmark the permalink. Glad you got lucky with the wine! And fideua…think I might even prefer it to paella (just don´t tell my Spanish family! ).